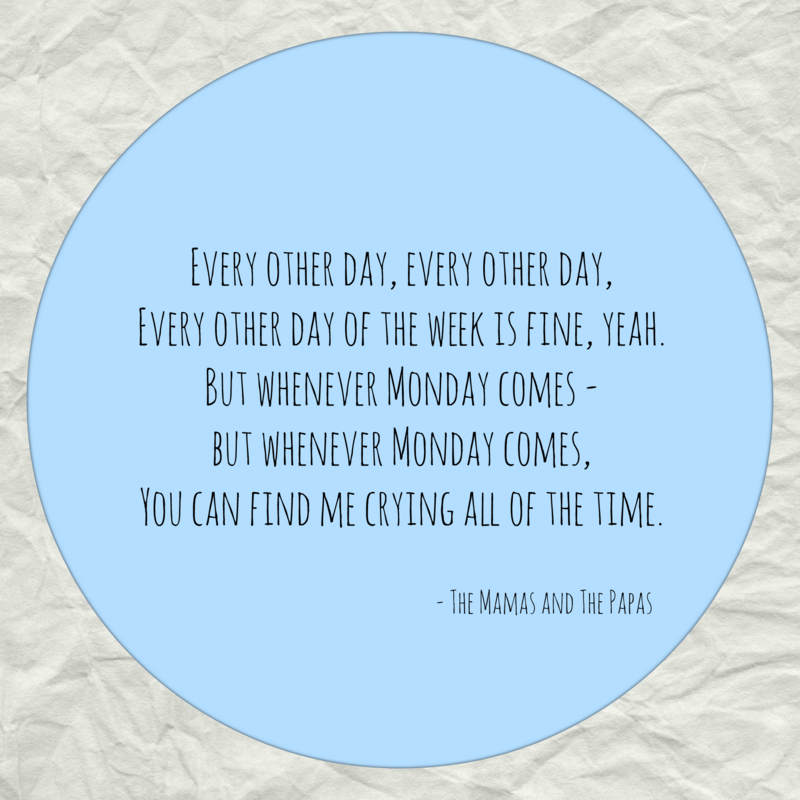 The Mamas and The Papas sang about Mondays perfectly: no guarantees, doesn’t give you any warning of what was to be, you can’t trust it, it won’t go away, and leaves you in tears. Despite my philosophical state on Saturday, Monday rolls around every week and while I’m ordinarily organised and ready for the week, today (yes, I’m writing this on Monday morning!) I’m feeling rather bleak and tired. I’ve got four weeks left until I finish my small business course. Not only that, I’m also doing my final subject at university. With the exception of travel time and lunch, roughly 2-3 hours of the day, I’m in a classroom from 09:30 until 20:30 every Monday. There’s lots of independent study too, so most of the nights and any other time I have away from the classroom is spent with my head in my business plan or uni assignments. You might remember I wrote about wanting to be more organised and slow down in 2015. The organisation has not gone out the window, but the slowing down sure did! 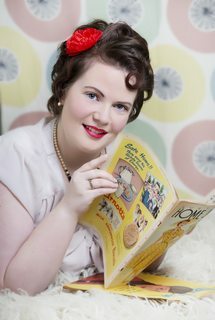 I have to be more organised in order to keep up with the hectic schedule, but I keep forgetting to schedule time for blog research and writing. Ironic really seeing as how an integral part of my small business course is writing a schedule to guide you in your week-to-week business operations. It wasn’t until last week that I realised that I can even schedule shopping for new products. That’s right, paying myself to go shopping! Rest assured, I will be sitting down to revisit my schedule to incorporate shopping time, and also to reassess how much time I dedicate to blogging, and when. For now, it’s back to the business plan. I have to do a whole lot of work in the next hour and a half instead of procrastinate (one of the weaknesses I identified in my SWOT analysis.). Writing this blog post is both an important business tool, and it is also a procrastination tool instead of doing my business plan! If you see me procrastinating, push me in the right direction please?